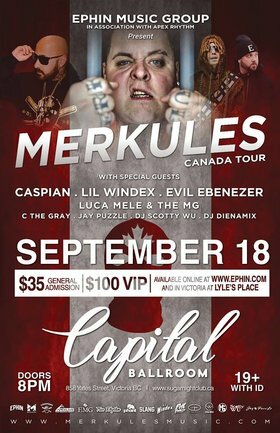 Merkules + Special Guests CANADIAN TOUR 2018! 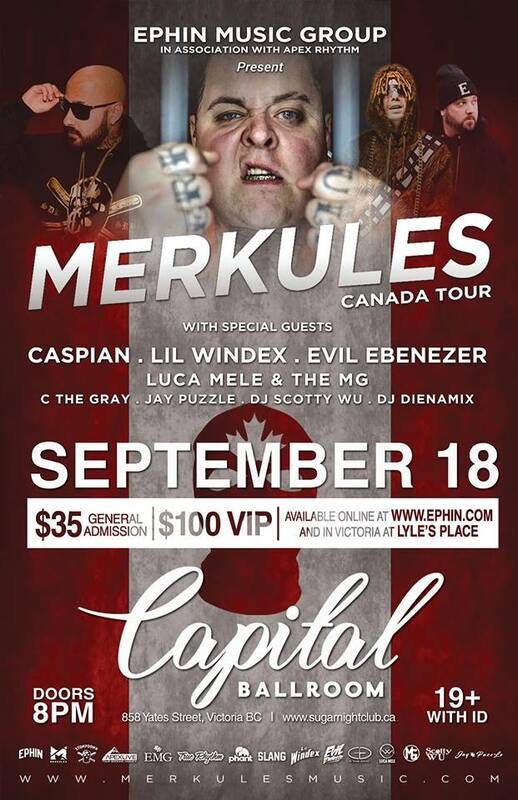 in VICTORIA on September 18, at Capital Ballroom. With Opening support from Luca Mele, C The Gray, The MG, Jay PuzzLe, Scotty Wu & more! The VIP Package includes a ticket to the show, merchandise package and private meet & greet before the show / early venue access.